Adrian joined CLA in 2000 and obtained his RIBA Architectural Qualification in 2004 whilst training as a graduate at CLA. He later became an Associate in 2007. Adrian’s experience covers a vast range and scale of projects, his drive and dedication has led to him establishing a leading role in the supervision and organisation of work within the office from inception to completion. 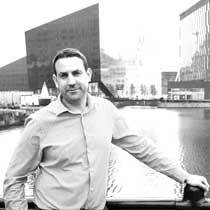 In 2015, Adrian was Project Associate for the award winning Queens Park development delivering over 200 new homes and the new Liverpool HQ for global sports business PPL. In 2016 Adrian became a Director of the practice and continues to lead projects within a wide range of sectors as both an Architect and Director.